According to the 2016 Alabama Poverty Data Sheet, nearly 300,000 Alabama children live in poverty. This statistic is eye-opening and highlights the need to intervene and interrupt the poverty cycle in the lives of Alabama’s children. How do we change the lives of these young people who, through no fault of their own, have been born into poverty? Education. It’s that simple. Alabama’s public schools positively impact these children on a daily basis. As Alabamians, let’s make a commitment to prepare these young people for the future. Keeping students in school gives them stability and exposure to positive role models who, frankly, they may not have at home. Public school teachers are among the finest and most dedicated individuals in Alabama. They are state treasures, and they serve as vital partners in our efforts to eradicate long-term poverty. School teachers are the most important non-family members many of our young people will know throughout their formative years. They are in the trenches and on the front lines with our kids, and they can and do make a difference. We must continue to promote reading and reading comprehension in the early years of our children’s lives. When I led a state task force focused on the high school drop-out rate, I learned that students who cannot read by third grade will probably never catch up to their peers. These students get frustrated and find it difficult to keep up with their studies. As a child’s academic life spins out of control, he or she may run for the exit, and, in many cases, struggle with basic reading throughout his or her adult life. We know that many of these challenges circle back to a lack of reading education in the early years. We’ve got to stop this trend. And we can stop it. More and more states are holding back third-grade students who aren’t able to read at grade level. I am contemplating filing a bill next year to start that conversation in Alabama. Alongside reading comprehension, we also must identify strategies that discourage truancy. We know that attendance is a critically important factor in a student’s academic career, so we must do everything we can to avoid unexcused absences. One strategy that will help reduce absences in Alabama is The Helping Families Initiative that the legislature included in the 2016 – 2017 budget. For those who make it through the system and graduate from high school, I have a message for you: Please continue your education and training. This is vital in the 21st century. Any postsecondary education that you experience will be an asset to you, your family and your community. Alabama has countless postsecondary options that help train young people for future careers. Over the past several years, community and technical colleges have emphasized workforce development and helped close the skills gap. You cannot get a high-tech manufacturing job with a high school diploma alone, which is why postsecondary education is so important. We must continue to embrace technical skills training so that we effectively can prepare Alabama’s students for well-paying job opportunities. Family plays the most important role in impacting the direction of a young person’s life. Unfortunately, some families face significant economic barriers. While government is limited in what it can do, we can address systemic poverty beginning with those who will shape the future of our state – our students. Education is truly our key to eliminating poverty in Alabama. Jesus said “the poor will always be with us,” but we can certainly do better at reducing their numbers by wisely using our available resources. Senator Arthur Orr represents Limestone, Madison, and Morgan Counties in the state senate. Above: Senator Orr, Rep. Terri Collins, and other first class pre-k supporters attend a ribbon cutting at Lacey’s Spring School in Morgan County. 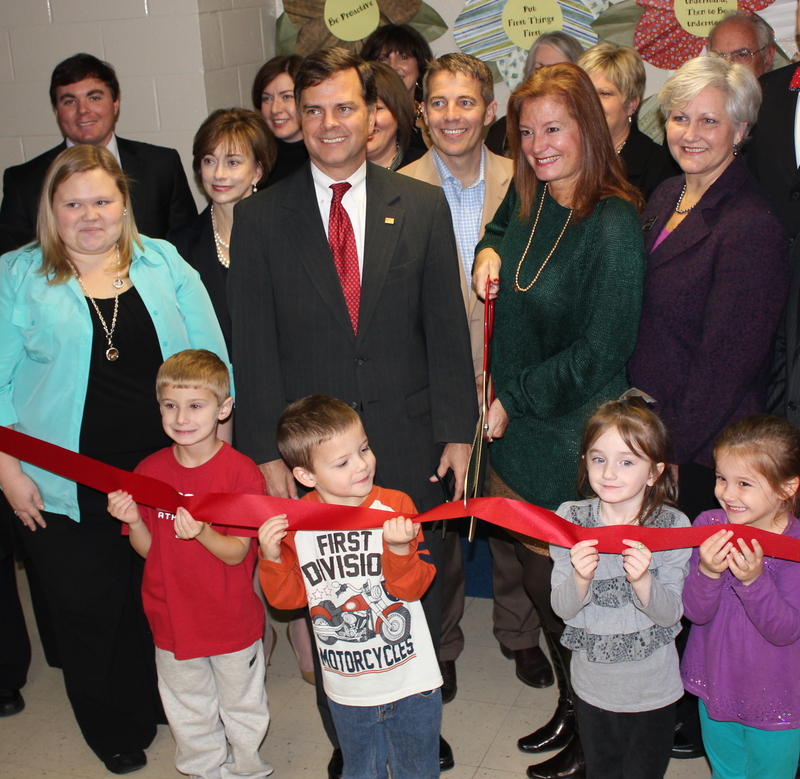 Photo courtesy of the Alabama School Readiness Alliance.